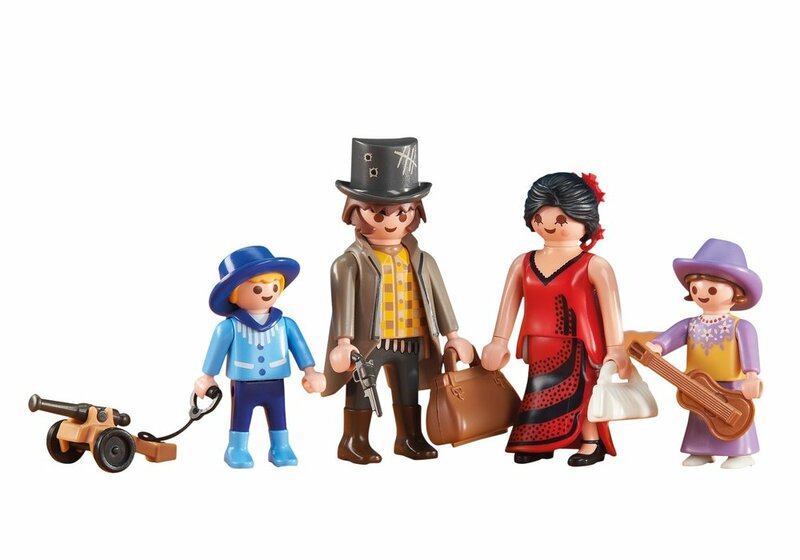 Add more fun to your Playmobil Collection with these Western Family Figures! This product is an addition to existing Playmobil sets. For this reason these items come in a clear plastic bag or a brown cardboard box instead of a colorful retail box. Please consider when gifting. This PLAYMOBIL Addition is perfect for existing sets, saving time, money, and headache while doubling the fun for children. It will make a thoughtful gift for any young PLAYMOBIL fan! PLAYMOBILs unique play principle stimulates imagination and creativity and thus promotes child development. With PLAYMOBIL, children can not only slip into many different roles, but also recreate and experience the world in miniature. Recommended for ages 4 and up.